American DJ Gobo Motion LED The American DJ Gobo Motion LED features fast scanning TRI LED colored beams with 6 replaceable gobo patterns. The gobos may be taken out and the fixture can be used as 6 solid beams of light. This effect offers small clubs and mobile entertainers the convenience of having multiple effects in one light show without having to transports multiple fixtures. The Gobo Motion LED is easy-to-use and has 3 operational modes: DMX controller, Master/Slave & Sound Active. There are several built-in programs when used in Sound Active or Master/Slave modes. Users can also use the easy-to-use UC3 controller from American DJ to turn the unit On/Off and scroll through different programs. Up to 9 Gobo Motion LEDs may be power linked together via the units IEC connectors. Considering purchasing the American DJ Gobo Motion LED? Have questions? Ask people who've recently bought one. Do you own the American DJ Gobo Motion LED? Why not write a review based on your experience with it. ADJ always make great dj gear, we use for 18s and 21st parties, the spread of light beams and the array of colours that the Gobo Motion LED has is truly stunning! 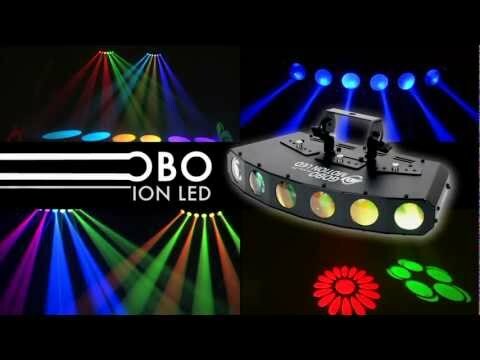 Seen a video for American DJ Gobo Motion LED online or have you own video? 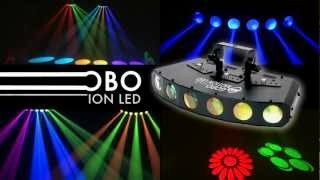 Check out American DJ Gobo Motion LED on DJkit.com!